Tired of heavy and clunky strollers? Here are a few lightweight options that are great for travel or everyday use. So you purchased that ultra sturdy jogging stroller that can handle all the bumps and bruises of the road and be folded up to fit in a mini car. It was supposed to be one stroller to rule them all. You really like it for a while, as it’s so much easier to walk and run with than that old stroller you had. A month or two later of folding it up and taking it in and out of your car, and you finally realize one thing: it’s too heavy to take with you everywhere. After having five children, my wife and I have realized that achieving stroller bliss, the state or art of having the right stroller for every situation, comes in the form of having multiple strollers. Unfortunately, there’s not a single stroller that works for every situation. Trust me, we’ve tried. Ultimately, if you’re going to survive the rigors of parenthood, you’re going to need another good stroller that’s also lightweight. That’s where the umbrella stroller category comes in. The confusing part is that within the lightweight or umbrella category, there are strollers that try to be like those in every other category. I’m embarrassed to say how many strollers we’ve purchased, used for a month, and sold over the past ten years. That being said, our pain is your gain. Here’s a few I’d recommend based on what you need the most. The longer than normal handles on the 3D Lite make this umbrella stroller taller than many others on the market. If you’re looking for a good umbrella stroller under $100, I highly recommend the Summer Infant 3D Lite. For right around $80 it gives you the most for your money that you’ll find. It’s not the lightest on the market, at around 12 pounds, but it’ still super easy to carry around and makes up for the weight with a sturdier aluminum frame. In addition, it’s a little bit taller than other umbrella strollers on the market so if you’re husband is on the tall side like I am, he’ll still be able to use it without hurting his back. I measured, and the stroller is three and a half feet from the floor to the top of the handles. The dual wheels aren’t super wide for jogging and as I mentioned above; I’d recommend a different stroller for that. That being said, the sturdy dual wheels do better in a lot of places where I didn’t think they would. Even taking the 3D Lite over gravel is fairly easy. 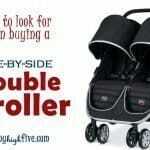 It’s the perfect compromise between a standard height stroller and one of the smaller strollers. With a fairly large storage basket, cup holder, and canopy, it has the flexibility to take with you on a trip and the compact design you need to fit in your trunk or take with you on a plane. Another nice feature of the 3D Lite is that it has a four position recline that takes you from upright to almost flat. It’s great for letting your toddler take a nap. Tall like I am? Here’s a Delta LX with modified handlebars 8 inches taller than the factory model. Just go to your local welding company to help you out! If you’re like us and have a baby and a toddler or two toddlers, you’ll need a good double stroller for at least a couple of years while your older child grows. We’ve done this dance over the past ten years. In the under $100 category, you’ll also find Delta Children’s model LX, which comes in four different styles including green, red, orange, and blue. 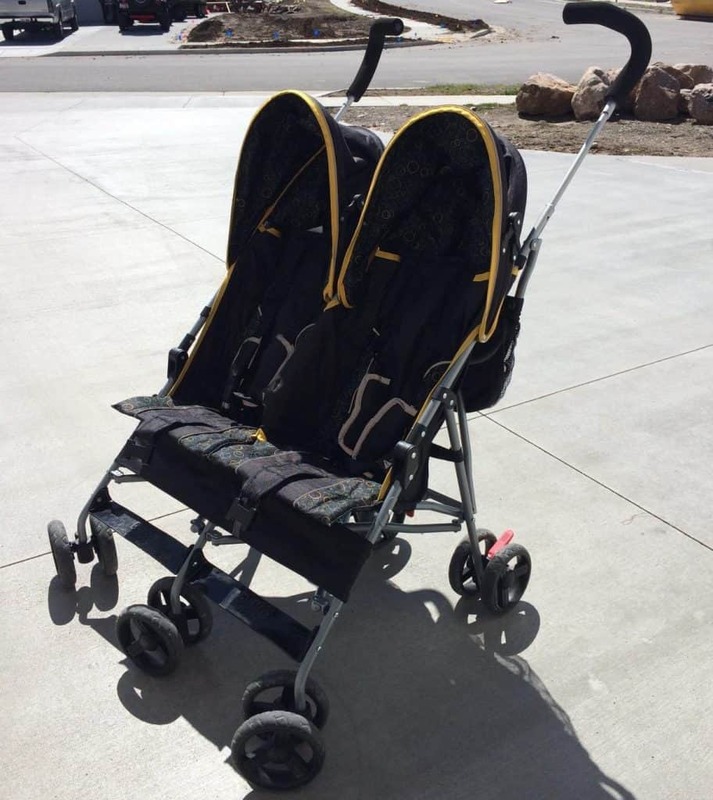 For a double stroller, it’s compact and fairly lightweight, at around 21 pounds. This weight is slightly above what you can normally gate check at the airport; however, I’ve never had an issue taking it with me on a plane. Because of its design, it’ll also fit through standard doors. Overall, it’s a great stroller if you understand its limitations. Here are a few of those. This stroller does not have the height of the 3D lite above and as a taller man, (6’4″) it hurts my back a little if I use it too much during the day. In addition, the recline on it doesn’t lay flat and has little value. The stroller will handle two kids up to 70 pounds and will work well with 2-4 year olds or even a five-year-old who isn’t tall. 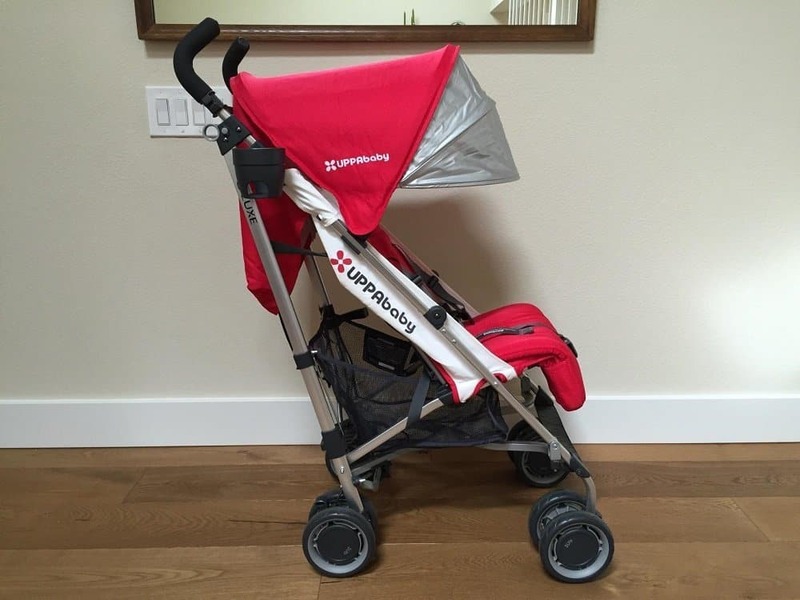 I still like this stroller because it’s compact, lightweight, and inexpensive at $80 to $90. 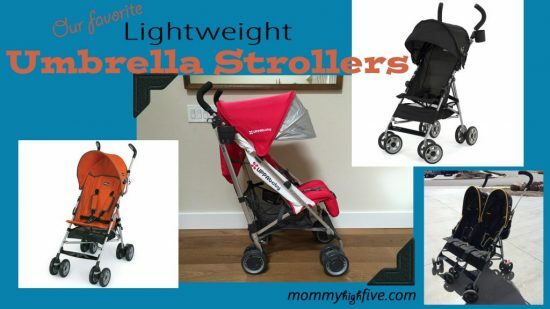 If you’re looking for a cheap umbrella stroller that you can easily throw in the back of your car and walk short distances with, I recommend the Baby Trend Rocket and Kolcraft Cloud Unmbrella Stroller. They are both lightweight, with the Kolcraft model coming in at just under 10 pounds and the Baby Trend model coming in at 12.5 pounds. Before you buy, be sure to check out your local Walmart, as often times they have these in stock so you can get a good feel for them. We recently purchased the Kolcraft because it has the larger canopy and is super lightweight. It’s perfect for those situations where you want to have a stroller without dealing with the normal stroller limitations. My wife and I love the Chicco model strollers. 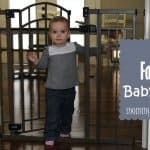 They are always well made, keep the kids safe, and last a long time. If you’re looking for a model with a five-point harness, lightweight at around 11 pounds, and super compact, the Chicco Capri should be at or near the top of your list. For recline, it takes you from the standard height to only about 15 degrees back. If you’re tall this stroller might give you the same fits that many of the other strollers on the market give, and the 3D lite might be the better option. 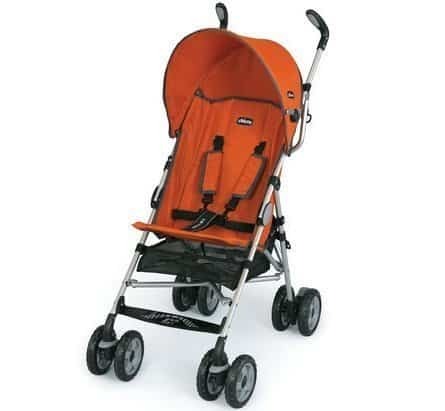 Still, I like this stroller because it’s so sturdy and relatively inexpensive at around $80. If you’re looking for the Cadillac of super lightweight umbrella strollers, consider the G-Luxe UPPAbaby Stroller which comes in a bit more pricey at around $280. It comes in nine different colors to match your style. 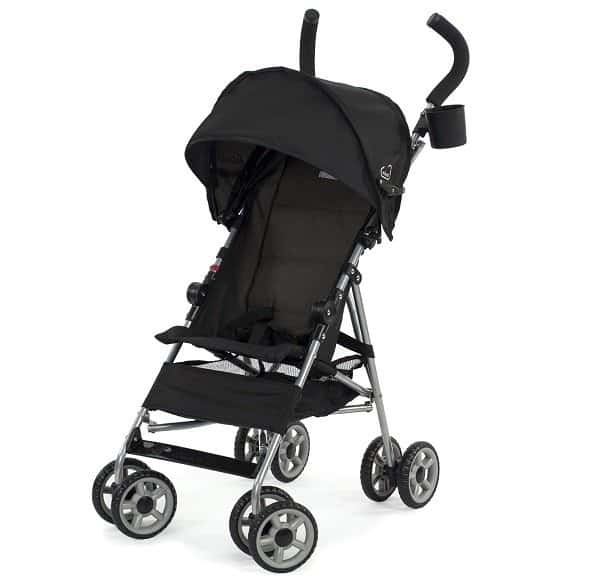 For weight, it’s a bit heavier than the other strollers on this list, at around 13.4 pounds. However, it’s by no means heavy and with its aluminum frame and compact design, I’d still put it in the umbrella stroller category. One of the great features of the G-Luxe is that it has a hand-level trigger that allows you to fold it with just your fingers. So, if you’re carrying the kid you just removed from the stroller, you don’t have to try and lift one of your feet to do anything on the bottom. Another nice feature is that the G-Luxe fully reclines. 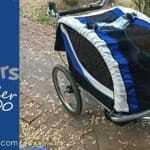 For a stroller this lightweight, this is an uncommon feature. Overall the G-Luxe has mostly everything you need in an umbrella stroller, while its price puts it in the luxury category at around $300. One small thing to note before you buy is that the seat is at a slight recline from the fully upright position. 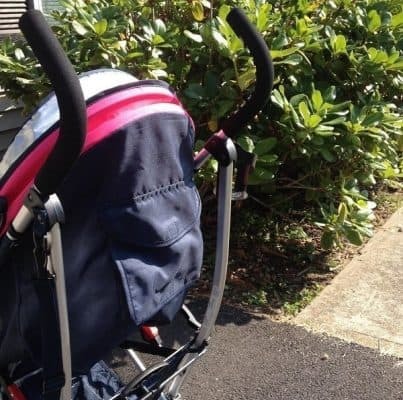 If that annoys you, you may want to try one of the other strollers on this list. I like all the strollers above but admittedly they aren’t a one-stop shop solution. Still, several of these options may give you the inexpensive, lightweight, and compact option you’re looking for in your every day stroller. 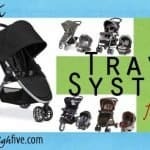 If you are looking for a Travel System Stroller we have some good options for you too.